New vacancies in Indian Government: Indian Institute of Spices Research Recruiting 09 Technician & Technical assistant On Mar 2015. 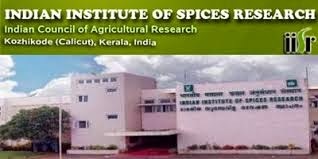 Indian Institute of Spices Research Recruiting 09 Technician & Technical assistant On Mar 2015. Hiring Organization : Indian Institute of Spices Research. Age Limit : Candidates age should be between 18-30 years. Age relaxation will be applicable as per the rules. Educational Qualification : All Interested candidates should have completed Matriculation & Bachelors Degree. or equivalent qualification from a recognized university / board. Kozhikodu, Kerala - 673 012. Important date to remember : 25-03-2015.